Festivals rank high among humankind’s most cherished traditions but if you think these annual gatherings are all fun and games, you’d be VERY wrong. 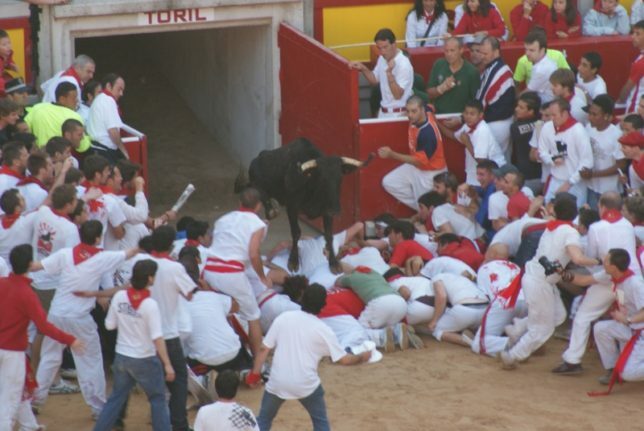 The poster child for “dangerous festivals” has to be the legendary Festival of San Fermin in Pamplona, Spain. 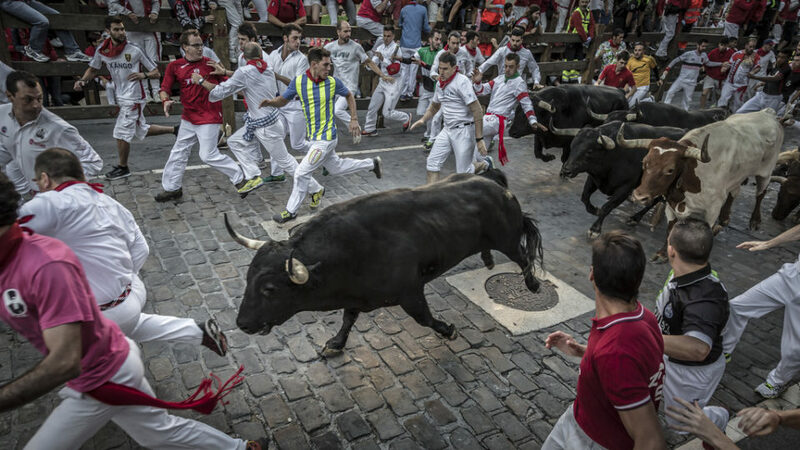 The annual nine-day-long celebration originated centuries ago and encompasses a wide variety of events, the most (in)famous of which being the Running of the Bulls – an exceptionally dangerous free-for-all that dates back to the 14th century. 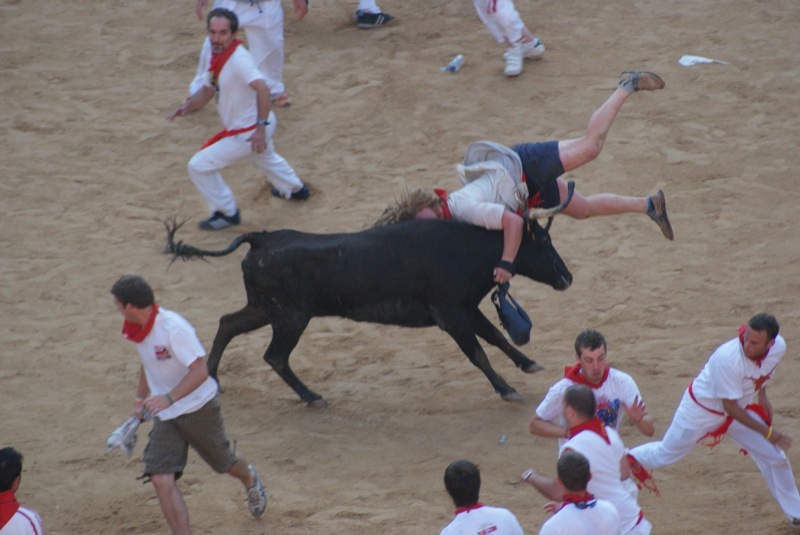 Flickr members VaqueroFrancis and Nicholas Cole (ncole458) captured both the excitement and the danger of the San Fermin festival first-hand in July of 2017 and July of 2009, respectively. And that’s no bull. 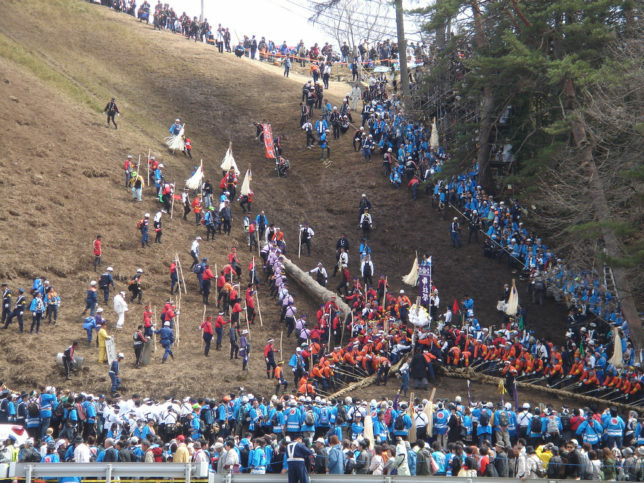 The Onbashira (“Honored Pillars”) Festival is held every 7 years in Japan’s Nagano Prefecture. 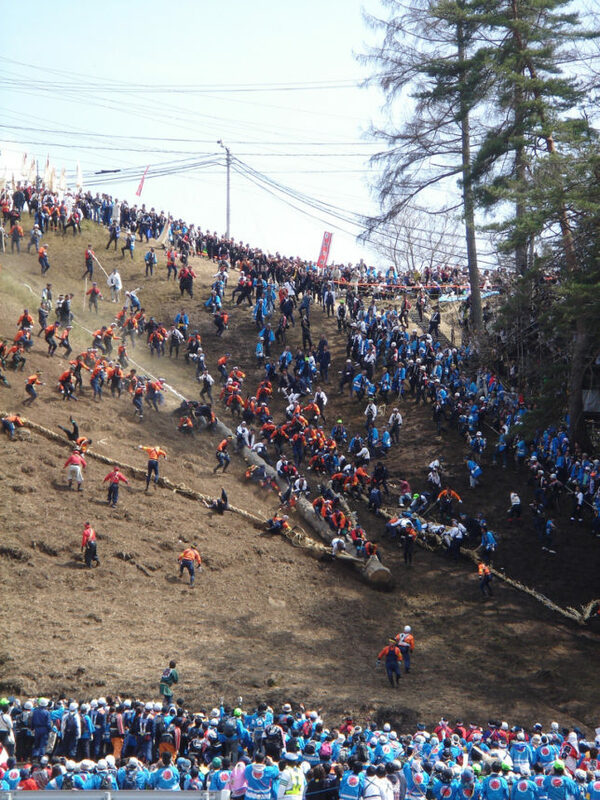 The festival’s highlight features the felling of sixteen specially selected fir trees that are then hauled down a steep mountain slope. The trimmed posts are then erected at the corners of four local shrines being renovated for the occasion but that’s not the dangerous part… participants “ride” the logs as they’re being transported down the mountainside and some (participants, not logs) don’t arrive in one piece. Flickr member Shibainu captured the goings-on at the previous festival in April of 2010. Follow that cheese wheel! 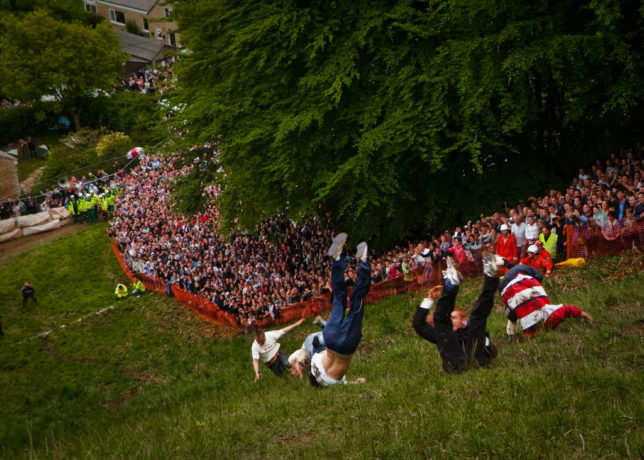 The Cooper’s Hill Cheese-Rolling and Wake has been held annually over the past 200 years in Brockworth, Gloucestershire, UK. The fact they included “Wake” in the title should give you a clue right off the bat that this is no ordinary festive occasion. 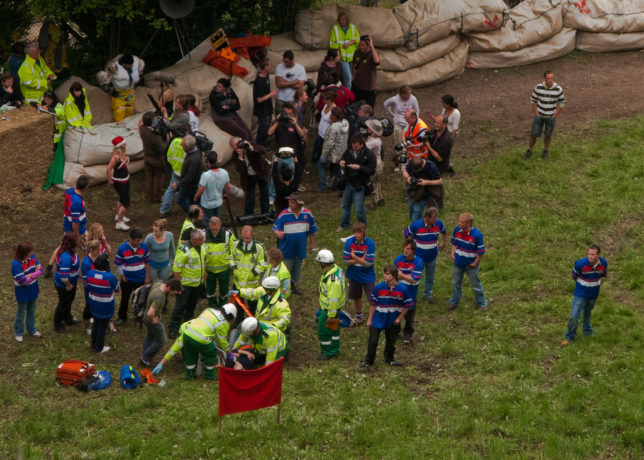 One former participant described the main event as “20 young men chasing a cheese off a cliff and tumbling 200 yards to the bottom, where they are scraped up by paramedics and packed off to hospital,” and he wasn’t exaggerating: in 1997, for example, 33 injuries were reported. Flickr member Will de Freistas (ninjawil) snapped some of the limb-snapping festivities in May of 2009. The culmination of the annual Taiwan Lantern Festival is the Tainan Yanshui Fireworks Display, also known as the “Beehive of Rockets”. 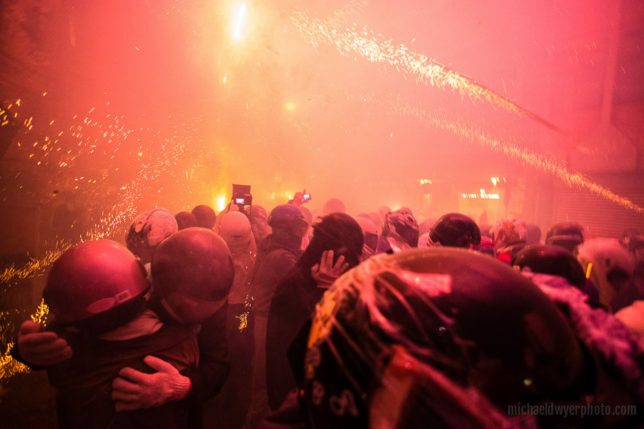 Approximately 3 million bottle rockets are fired into crowds of revelers… what could possibly go wrong? 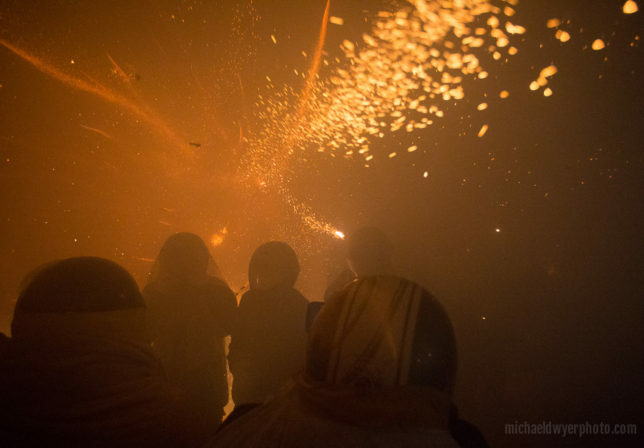 “Only the brave dare move so close to the rack of tens of thousands of bottle rockets at Yanshui Beehive Rockets Festival in Taiwan,” according to Flickr member Michael Dwyer. Hey, let’s not count out the drunk and the stupid! 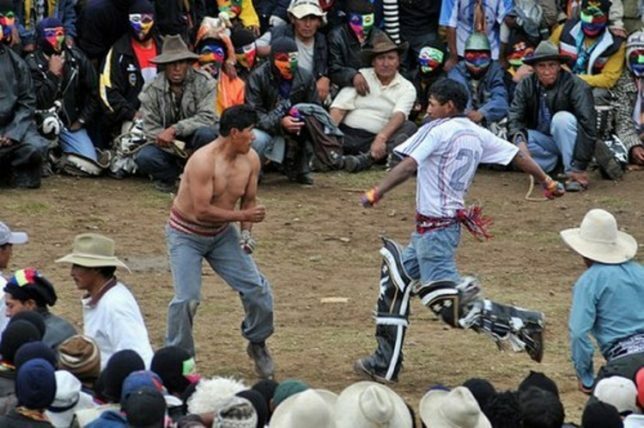 A Peruvian Fighting Festival, you say? Shut up and take our money! The festival of Tananakuy is held every Christmas Day in a number of villages and towns in southern Peru’s Chumbivilcas province. 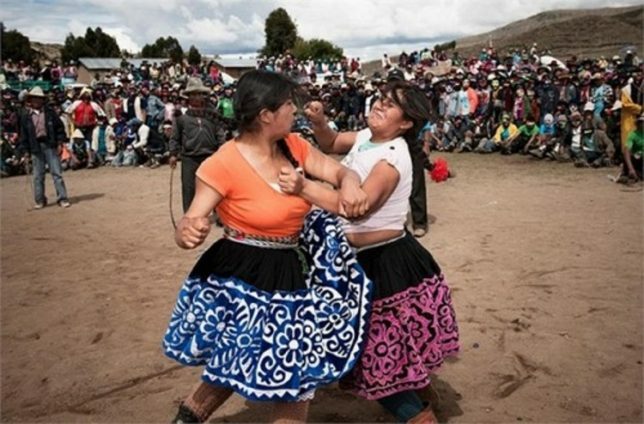 The word “tananakuy” means “to hit each other” in the local Quechua language, and that pretty much sums up the essence of this particular festival. And the hits just keep on coming: men, woman and children are all eligible to put up their dukes, often while wearing colorful and elaborate costumes expressing themes of traditional local culture. 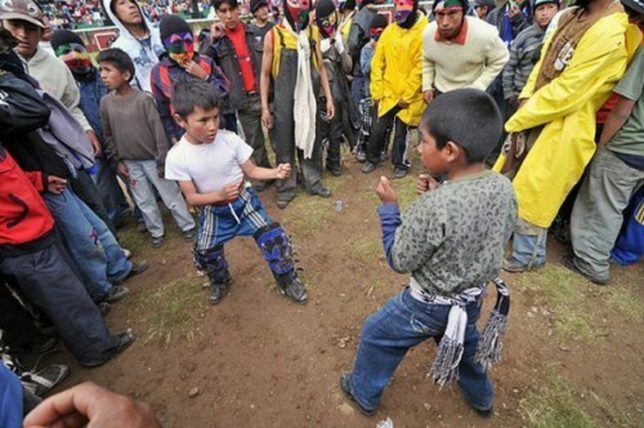 Other places may tout peace on Earth and goodwill towards men on December 25th; in the Andean highlands they prefer fighting as a way to show off one’s manhood (or womanhood, or… childhood?) and/or to settle old scores and grievances. Kinda like Festivus but without the metal pole or a screaming Frank Costanza. Flickr member Tang Tran Minh Thành took some in-your-face shots in January of 2014… that’s gotta hurt. Imagine if you will, a race between two pair of water buffaloes driven by whip-wielding, half-naked farmers through a muddy rice paddy. 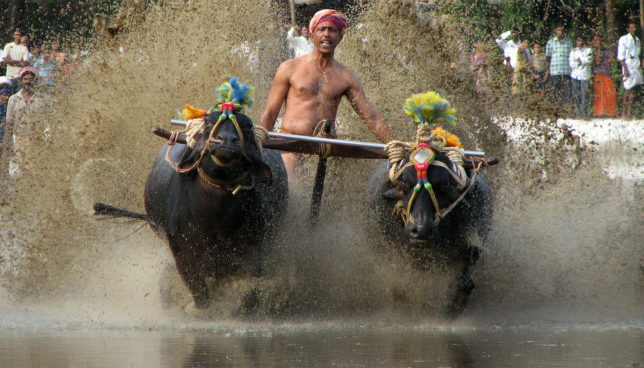 It may sound like the Twilight Zone (or, say, the chariot race scene from Ben Hur, sans the chariots) but it’s actually Kadri Kambala in Karnataka province, southwestern India. The pairs of buffaloes are yoked together rather loosely and the farmers wear little in the way of protection – them beasts have got wicked horns! The race courses offer hazards of their own, including wandering spectators who should know not to get in the way of charging water buffaloes. 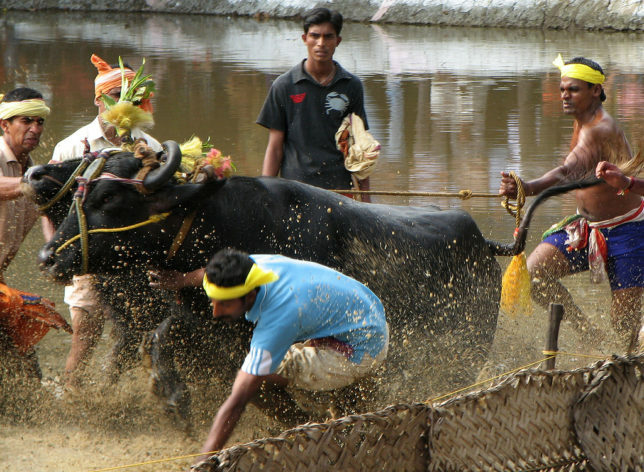 Flickr member Karunakar Rayker (wildxplorer) captured the excitement of a full-blown Kadri Kambala festival in January of 2008. Ain’t no fireworks festival like a Mexican fireworks festival, amiright? 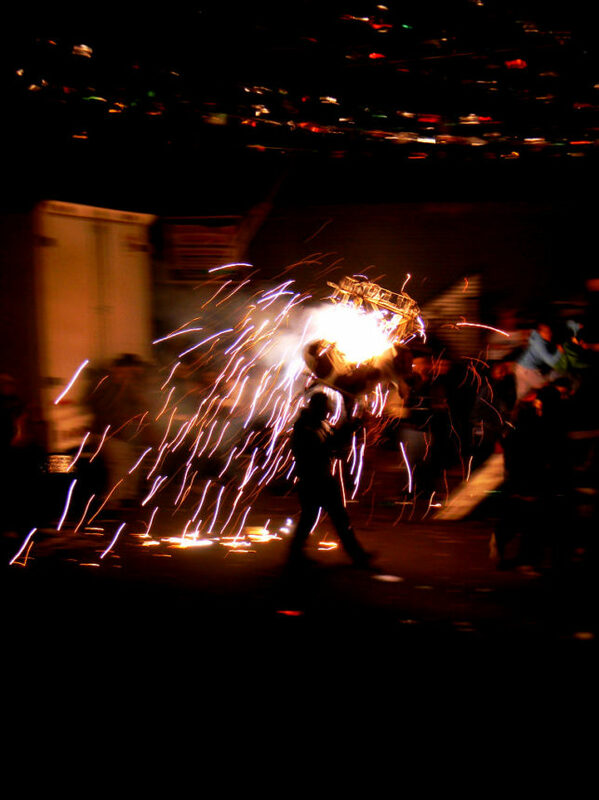 The annual National Pyrotechnic Festival (“Feria Nacional de la Pirotecnia”) was formally established in 1989 but traces its history back to celebrations in honor of John of God, the patron saint of fireworks makers. In related news, Mexican fireworks makers have their own patron saint. 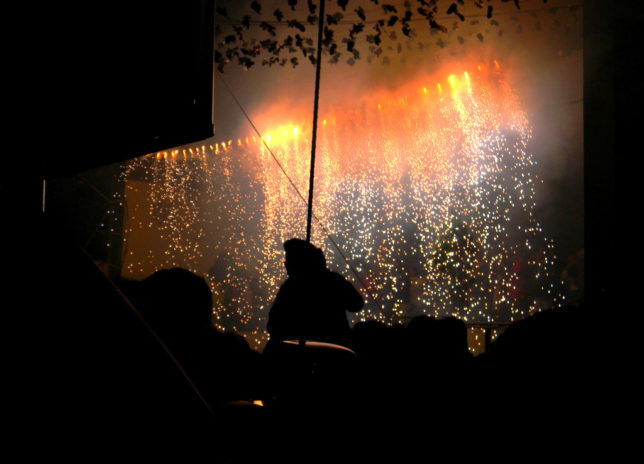 The festival’s highlight is the “parade of toritos”, in which roughly 250 bull-shaped frameworks festooned with lit fireworks are marched down the main street of Tultepec, center of Mexico’s fireworks-manufacturing region. Think of the Running of the Bulls, but with flaming bulls… even Hemingway would cringe. Flickr member Tan Ya (arreguin.tania) snapped the shots above in March of 2014. You might not have heard of Kirkpinar but this annual oil-wrestling tournament and festival has been held near Edirne, Turkey, since 1346. Guinness World Records has officially recognized Kirkpinar as being the world’s longest-running sports tournament. In Kirkpinar, wrestlers wearing only short leather pants battle one-on-one outdoors in an open field, dousing themselves with olive oil before each bout. Geez guys, get a grip… oh. Anyway, the bouts have been time-limited since 1975 – in previous years, bouts would sometimes last up to two days, running from 9am to dusk. Flickr member Charles Roffey (CharlesFred) got up close and personal with some of the oil-wrestlers during a trip to Edirne in July of 2011. The Calgary Stampede in Calgary, Alberta, began in 1886 as an annual agricultural. 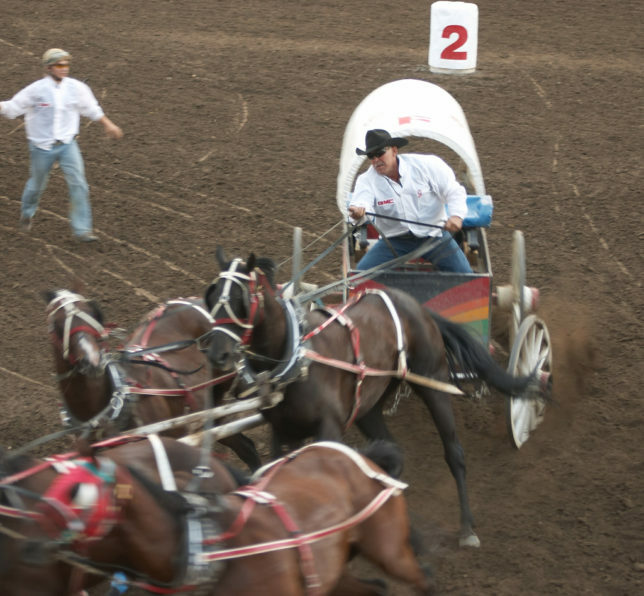 Rodeo events were added in 1912 and the first chuckwagon races were run in 1923. The format can be extremely hazardous for man and beast: five human fatalities occurred between 1948 and 1999, and 65 horses have perished between 1986 and 2015. 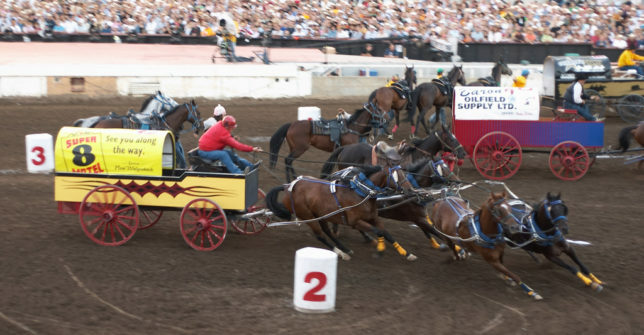 These fatalities plus an uncounted number of injuries have made the Calgary Stampede’s chuckwagon races the focus of controversy, though there’s no doubt the possibility of life-threatening havoc has a certain appeal to the public. Flickr member Randy Peters captured the fear, drama and excitement of a Calgary Stampede chuckwagon race in July of 2006. Holy Week celebrations in the Philippines are notorious for the extreme acts of devotion practiced by those seeking to emulate the suffering – even to the point of actual crucifixion – endured by Jesus Christ. Though the modern Catholic Church discourages the more exceptional examples of penance such as self-flagellation, painfully graphic Good Friday events continue to be staged for public view. Stop hammer time… NOT. 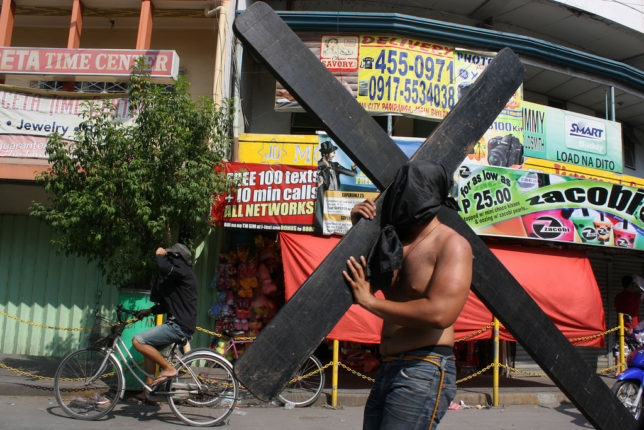 Flickr member istolethetv attended the Good Friday celebrations in Bacalor, Central Luzon, on April 21st of 2011. 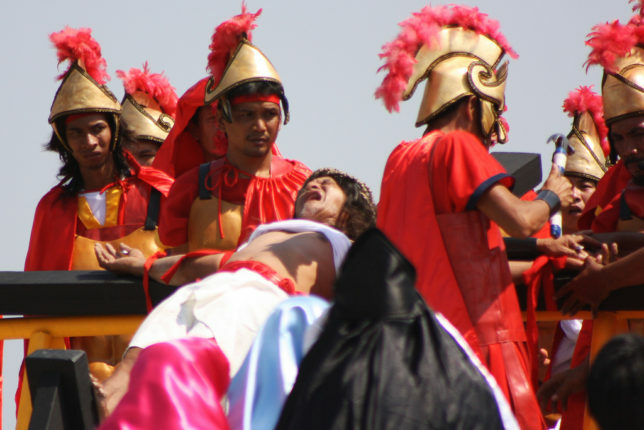 In the image above, Ruben “Mang Ben Kristo” Enaje is shown undergoing his 32nd crucifixion since 1985. The Filipino carpenter, sign painter, and ex-construction worker began participating in these all-too-real reenactments after unexpectedly surviving a bad fall from an unfinished building. One wonders, who does his nails?